Win big money on the Ducks! 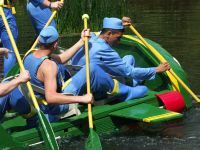 The Olney Duck and Raft Race is a lovely event, bringing the town together to ‘race’ hundreds of plastic ducks down the River Ouse, and then assembling rafts and paddling around the town. At the finishing line by the towns ‘steps’ there are amusements and refreshments as well as live music. Come and join the Olney Newton Link at the finish line for lots of celebration. More details to come. Come and join us at this year’s AGM (Annual General Meeting) and learn what it’s like to live in Sierra Leone after Ebola. The meeting will be held on Wednesday 11th May, 7.30pm at The Gravett Hall, Sutcliff Baptist Church, Olney (the church building is situated on the High Street, opposite the Market Place. The post code is MK46 4EA). Yes I know you were all experiencing a milder than usual Christmas this year but in Sierra Leone the temperature was in the upper 30’s . In case you are wondering, no we didn’t tuck in to turkey and all the trimmings followed by an ample portion of Christmas pud! On 19th December, we drove for 4 hours along a metalled road (believe me that is worth commenting on! ), to visit Newton. 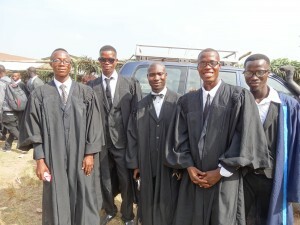 We had been invited to attend the Matriculation Event – what we would call a Graduation Ceremony – for the first students who had been doing the courses at the Skills Training Centre. This is now known as the Newton Institute and is providing courses in accountancy, business studies, banking, engineering, IT, and sociology. The tutors are from local universities and the students from the local community. of Newton have for this facility. People of all ages are now able to study for the qualifications they have been unable to access through restrictions due to the Civil War in the 1990’s, transport problems and more recently the ebola emergency. It was a privilege to be able to join them for the event that day. From there, we were quickly and proudly ushered to see the Preschool/Day Care Centre. It was not quite where we thought it was going to be as a land dispute, the scourge of Sierra Leone, had meant it had to be moved from the site originally earmarked. This had meant a loss of some building blocks and precious time, but nevertheless good progress has been made and the walls are approx. 4ft high. Since returning to UK we have been able to send some more funds so building has resumed. We were impressed that, because of the clamour for building land, the foundations and walls are being made strong enough to take a second storey if needed in the future. This facility is URGENTLY needed and we still have to get the roof on and the internal fixtures and fittings put in so please continue to support this important work. Over Christmas, we are pleased to say that residents from Olney were finally able to visit their friends in Newton again (Ebola has meant no flights for over a year). The Preschool is well underway, despite a few teething problems, and the walls are now approximately 4ft high. Due to a need for finances (see below), building is currently at a halt, and the ONL is discussing whether it can help. A water well is also needed to serve both the Skills Training Centre and the Preschool. A borehole has been started but needs more work. Sadly the Preschool has been set by difficulties, partly due to the very intense rainy season (see ‘Flooding’ in the News section). However, the Preschool has also been impacted by a common West African problem – land disputes. 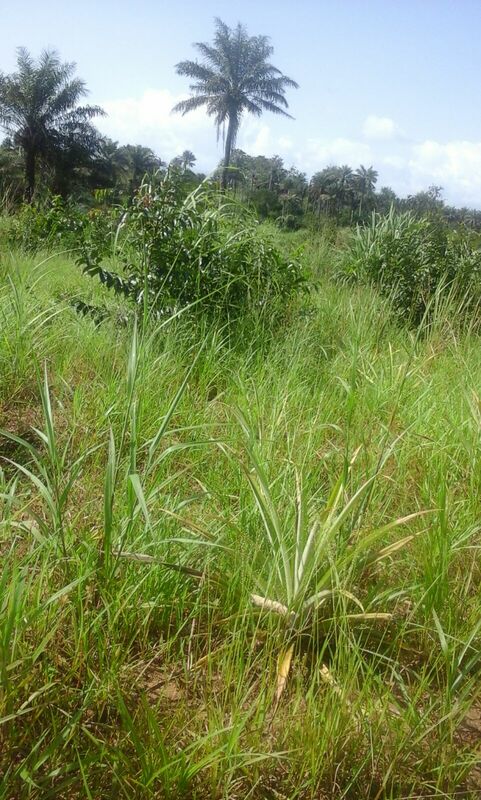 Land disputes are a real problem in Sierra Leone as there are virtually no written records of who owns what. This is mainly due to title deeds being destroyed by rebels during the Civil War. Similar problems happen in the UK, although thankfully less frequently – it’s known as ‘acquiring ownership by adverse possession’. The Olney Newton Link Committee in Newton believed that they had bought a piece of land the size of ‘3 town lots’ for the Preschool and started to build. Then sadly someone laid claim to the land and won the case. Consequently everything has had to move! The Committee is now using the land next to the Skills Training Centre – land definitely in their ownership but which had previously been earmarked for the expansion of the Centre. They have ensured that the foundations and walls are strong enough so that, if necessary, they can extend upwards. Both time and building materials have suffered. However, it is hoped that with support from the Olney Newton Link, and with the precious dry spell of weather underway, the situation can be quickly recovered. Win money on the horses! Who said it gets boring after Christmas?! The Carlton House Club in Olney will be hosting a great night out where you can support the Olney Newton Link whilst hopefully winning a few pennies yourself. 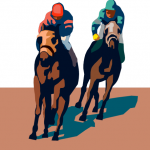 Place your bets and watch the races on screen – the excitement is tangible! The first race starts at 7.30pm. We’re thrilled that Sierra Leone has finally been declared free of Ebola. It has been 42 days since the last case of Ebola – a milestone set by the World Health Organisation (WHO) suggesting that the population is no longer contagious.However, we think it will be a long time before the country can really relax. 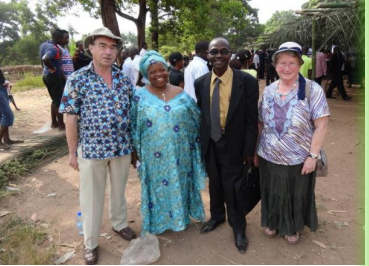 There are still cases in neighbouring Guinea – a quick hop over the border. And, as we have seen with the Scottish nurse, health complications are still arising in those who have survived. Although many in the capital of Freetown have been out celebrating, others are more subdued, reminding us of how many lives have been lost – nearly 4,000 in Sierra Leone alone. Mabinty Sesay, one of the Link Trustees in Newton has told us “Really this is not a moment of celebration, it’s a moment of praying and reflect our minds on the past.” Naturally there is still great fear that things could start up again and thousands of lives, families and livelihoods are needing to be rebuilt. 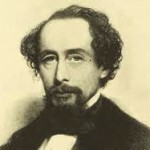 The always popular Dickens Day is back! Support the Olney Newton Link at its annual tombola stall and win bottles of drink and/or toys (the choice of is yours!) Dickens of a Christmas is the big Olney Dickensian fair where all the traders dress in Victorian dress and there are plenty more things to see and do. A lovely Christmas event! The stall will be to the far side of the market place, close to Tesco Express. 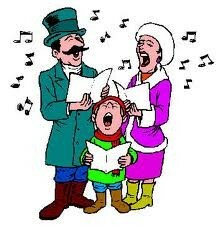 Get your vocal cords ready for Christmas! Join your neighbours and have a lovely evening singing to the residents of Olney and raising money for the town of Newton. We will be meeting at 5.55pm on the Market Place. It’s great fun! Make sure you come and support the Olney Newton Link stand – a brilliant lucky dip and games for the kids! 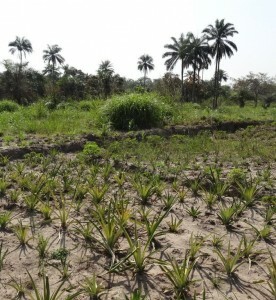 The Link is pleased to say that it’s been asked to support the Pineapple Plantation project. The Plantation is a crop being planted by the women of Newton which we first became aware of 2 years ago (when we managed to get a bit of sponsorship from a local company). The women are working really hard to plant thousands of pineapples which will provide an income for their families – a brilliant undertaking which we really hope will provide some badly needed funds. The plan is to sell some of the fruit to the local juice factory and some will be sold in the markets. Although the project started off very well, things have been badly hindered, both by wildfire and by the Ebola outbreak which killed or disabled a number of the workers. Ebola also stopped social interaction – a serious problem when plantation and harvesting is carried out through teamwork. Last year’s crop was seriously lacking but we’re thrilled that they have started the project again with the usual energy and belief. Mabinty has told us that the cost of the pineapple suckers is 300 leones /sucker (5p/sucker) and that they have to pay someone to clear the land. They plan is to make the project self-financing. 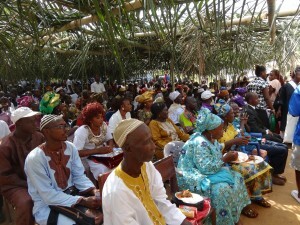 The ONL intends to send them funds of 250 for this year’s harvest. As is common in Africa, the women are a major workforce who are often the only breadwinners within the family. However, they also expected to raise the family. You can read more about the PreSchool and how we are trying to raise funds to help them look after the children whilst allowing them to also work in the fields. See under News Post Ebola.